Hi! My name is Frazze. I'm an Irish soft coated wheaten terrier. INTUCH NORDUCH NordV-94 Chalulls Stand By Me. 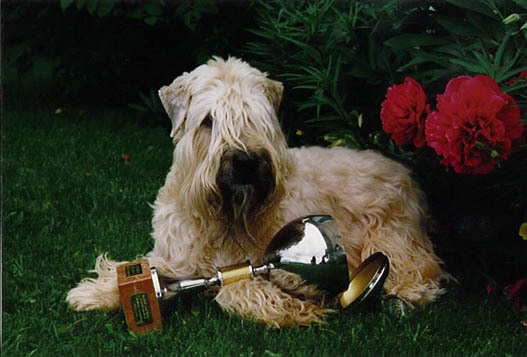 I was "Wheaten of the Year" in 1996.